One of the things I’ve learned in my few short years of writing about personal finance is that people hate being given personal finance advice. I mean, they absolutely hate it! In particular, they hate being told that they should spend less and save more — which is terribly obvious advice to begin with — and consider it a personal affront whenever you suggest as much. It doesn’t matter how helpful the advice is, people don’t like to be reminded of their lack of savings and whatever poor decisions might have contributed to it. Almost instantly, people began to joke about how out-of-reach this goal is. People Making Light of Their Dismal Financial Situations When Confronted With Sensible Personal Finance Advance is its own meme on Twitter, and it exists as a way for people to point out how financially challenged millennials are, and how futile such advice is in light of those circumstances. Usually, these criticisms are just dismissive, but in this case, they’re justified. Because it is nearly impossible for most people to save twice their salary by age 35. Let’s investigate this by the numbers. 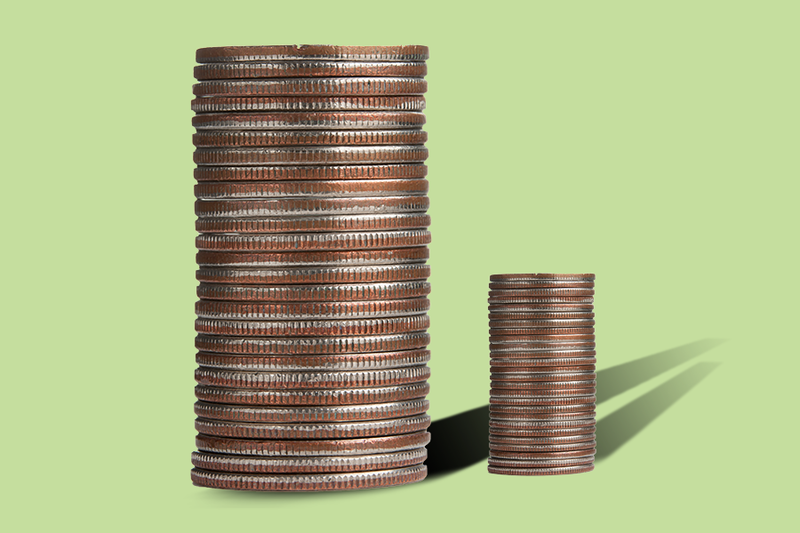 Unlike other pieces of personal finance advice — e.g., have $100,000 saved up by age 30 — the “twice your salary by age 35” wisdom is relative to each person’s income. Mark Agee is wrong, then. The advice isn’t “be rich”; it’s “save an amount commensurate with what you earn such that you can maintain your standard of living come time to retire.” That’s about as sound and level-headed financial advice as you’ll get. By that measure, a person should have $98,600 saved by age 35 to be in good shape for retirement. That’s not an absurd amount of money, but it’s hard to think someone earning less than 30 grand a year can afford to set aside much money for retirement. That’s a grand total of $125,100 by age 35. See, it’s totally doable! And that doesn’t even account for compound interest! All you have to do is get a job that pays you more than $400 a week starting your sophomore year of high school, somehow work 40 hours a week while still attending school, continue climbing the corporate ladder into your mid-30s and save 20 percent of your income at all stages of life. Oh, and somehow still afford to feed, clothe and shelter yourself on less than $18,000 a year. And that’s not even factoring in taxes! Obviously, this advice is a total farce when applied to the average American. No one can afford to work that much, that young, or save 20 percent of their income on such a meager salary (especially if they live in a major U.S. city). Let’s try a more realistic example then. Most personal finance advice is geared toward the middle class, and in that case, it makes more sense to view the earning power of college graduates in particular. The average income for Americans with a bachelor’s degree and 25 years or older was $1,173 per week, or $58,650 per year, in 2017, the most recent year for which data is available. For the sake of argument, say someone earns $58,650 every year, from the year they graduate college at age 22 through age 34. (Yes, a person would earn raises during that time, but starting them out at the national average should balance things out.) And again, say they set aside 20 percent of their income each year for retirement. That’s 13 years of saving $11,730 annually, good for $236,250 by age 35 (supposing an annual rate of return of 7 percent), almost five times the person’s current salary. Now, presume the person spends the recommended 30 percent on housing, a virtually unattainable goal if you want to live a major U.S. city (unless you have a great job, or are fine living in squalor, or both). That leaves our guy with $33,572.70 to put toward various expenses. Given that he went to college, he’ll have student loans to pay back. The median monthly student loan payment is $203. His yearly take-home pay is now down to $31,136.70. Saving 20 percent of that amount leaves him with $24,909.36 per year, or $2,075.78 per month to put toward food, clothes, internet, cable, gas, electric, transportation and other various life expenses. That’s not much at all, and doesn’t even account for medical expenses and other emergency costs. Even then, after 13 years of living skint as hell, a person would’ve saved $125,416 (again assuming an annual return of 7 percent)—good for more than double their salary. In short, the Twitter outrage is justified on this one — saving twice your salary by age 35 is the exact kind of unrealistic personal-finance goal that makes the average person hate personal finance altogether. Which, of course, only makes things worse. So please take to heart one of the other things I’ve learned during my time writing about personal finance: Just aim to save 20 percent of your money, and do your best. You’ll probably fall short, but you’ll still be making good progress toward retirement.